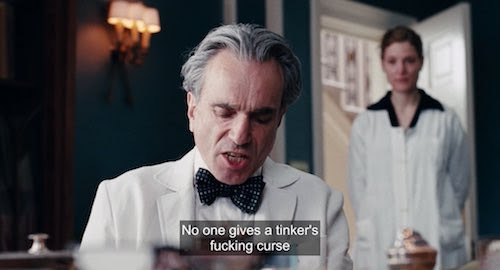 The holiday season provides the backdrop for a great many magical and mischievous films, for all sorts of adventures and romances can happen when regular work schedules don’t have to be attended to, and there’s something just plain cinematic about the twinkle of Christmas lights. With so many naughty and nice seasonal movies to choose from, we’ve made an annual tradition of showing the best, and this year we’ve heaped up plenty of seasonal goodies under our tree, from warm-and-cozy silver screen standards to modern masterworks—because chestnuts roasting on an open fire are nice, but there’s no substitute for the glow of the cinema screen. ACADEMY AT METROGRAPH continues in December, with upcoming programming that includesScrooged presented by actresses Karen Allen and Carol Kane on December 15. 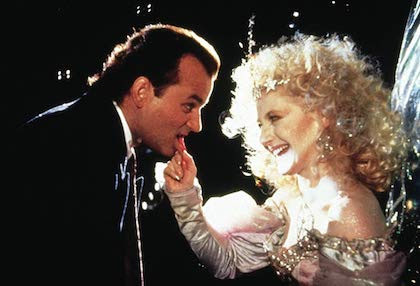 On Saturday, December 15 at 5:00pm, actresses Karen Allen and Carol Kane will present Scrooged. An updating of A Christmas Carol for the “Greed is good” 80s, Richard Donner’s salty-sweet comic morality tale—co-written by Saturday Night Live legends Mitch Glazer and Michael O’Donoghue—stars Bill Murray as a nasty executive at IBC Television who, heartlessly keeping his underlings at work on Christmas Eve to complete a live telecast of Charles Dickens’s classic, finds himself visited by three very novel versions of three familiar ghosts. 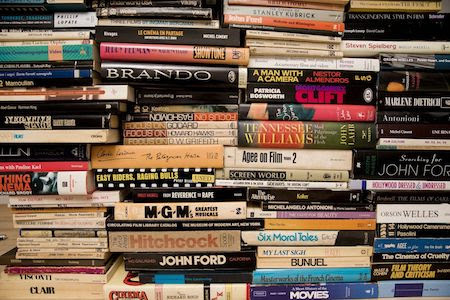 Metrograph’s Film Book Fair returns for the 2018 holiday season with hundreds of newly acquired vintage cinema books, out-of-print monographs, rare periodicals, and ephemera. From biographies of favorite Hollywood stars like Barbara Stanwyck, to treatises on cinema written by Éric Rohmer and Claude Chabrol, this is an entirely new bounty of treasures. In addition to a gift-wrapping station, vendors will include New York Review Books, Posteritati, Light Industry, and more. In conjunction with the Holiday Film Book Fair, Metrograph will present Sara Berman's Dream Double Feature on December 15 with Maira and Alex Kalman in-person to sign copies of Sara Berman’s Closet on December 15th, followed by a book signing. On December 16th, Ed Halter will discuss the newly editedFrom the Third Eye: The Evergreen Review Film Reader, Grove Press, and its defunct film company, Grove Films, with film screening. A table of supplemental material of Grove Press, Grove Films, and the Evergreen Review will be available for purchase during the Holiday Book Fair. In addition, a members/press preview of the Metrograph Holiday Book Fair will be on Friday, December 14th, with a reception. Memberships are available to purchase online now, and as of November 23, as gifts as well. More information here.